I’ve had this the longest… – Hinky Dinky Parlay Voo? 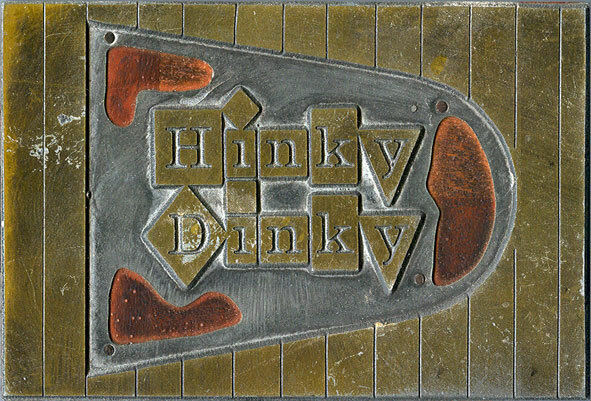 Old printing block (image reversed for legibility). I bought this at Frank’s Antiques on Farnam in Omaha in 1979. I’m not sure what it was used to print…advertising…product packaging? Any thoughts?